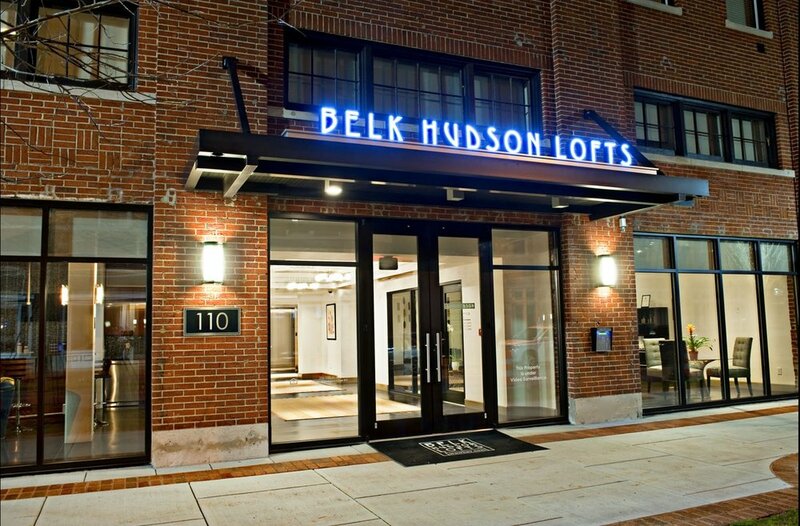 Belk Hudson Lofts is a 75-unit high-density urban infill project in downtown Huntsville, Alabama, and is the first of its kind in the area. The existing historic 3-story façade was preserved and it's character maintained through the additional floors.. The architecture incorporates brick with limestone accents, stucco, ornamental railings, and cantilevered steel balconies with canopies. The residential interiors include granite counter tops, stainless steel appliances, vinyl plank wood flooring, and 9’ and 10’ tall ceilings. 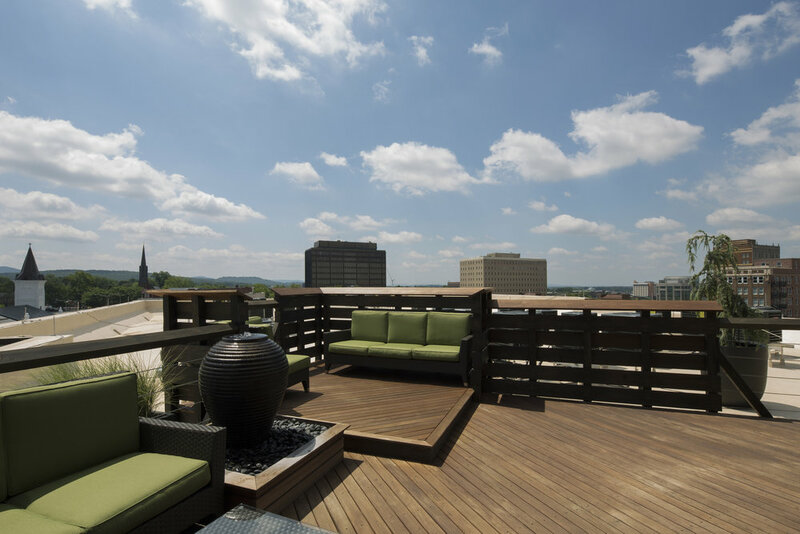 All units have 8’ tall sliding glass doors that have either balconies or Juliet balconies. 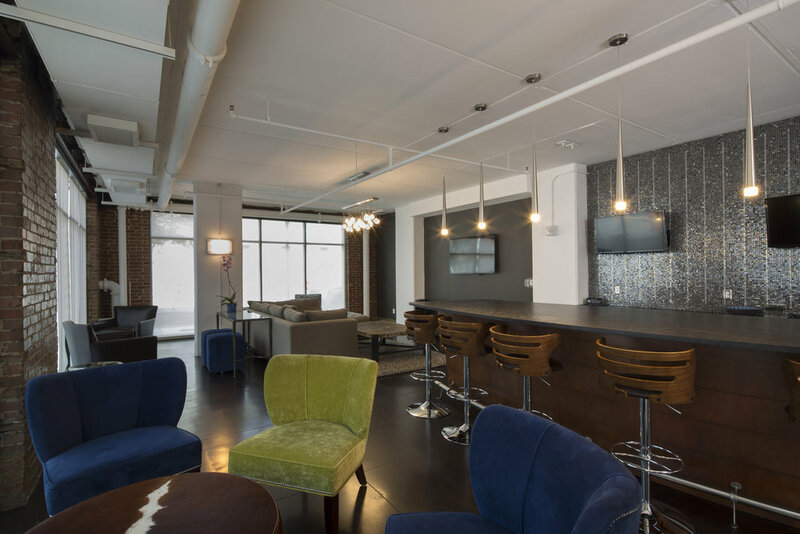 Amenities include a club room, fitness center, yoga room, and rooftop terrace.